Want to go green for the holidays? This eco-friendly stocking stuffers gift guide features environmentally-friendly gift ideas that won’t break the bank. Here’s to a green holiday! 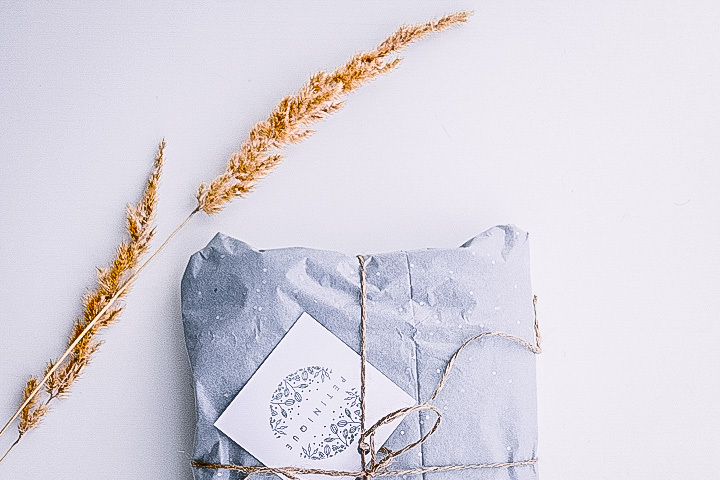 It’s that time of year again, when the holiday lists are a mile long and you struggle with the age old problem: buy conventional gifts that go against your green living values, or do a little digging to find eco-friendly alternatives? Well, look no further, because I did the searching for you. 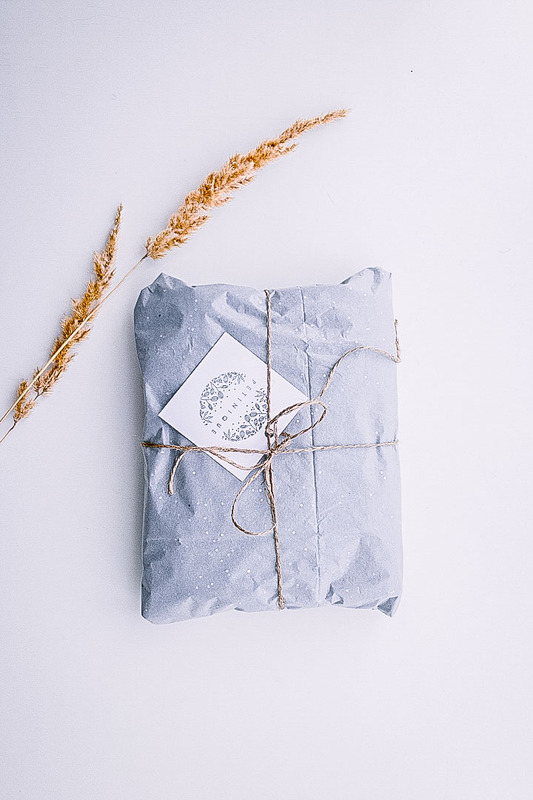 These sustainable stocking stuffer gift ideas are all from companies I personally vetted to ensure their products are environmentally friendly…as well as useful! Because we all hate throwing away silly gifts that you know you’ll never use, I made sure each is something your family and friends will be sure to use. And that won’t break the bank. 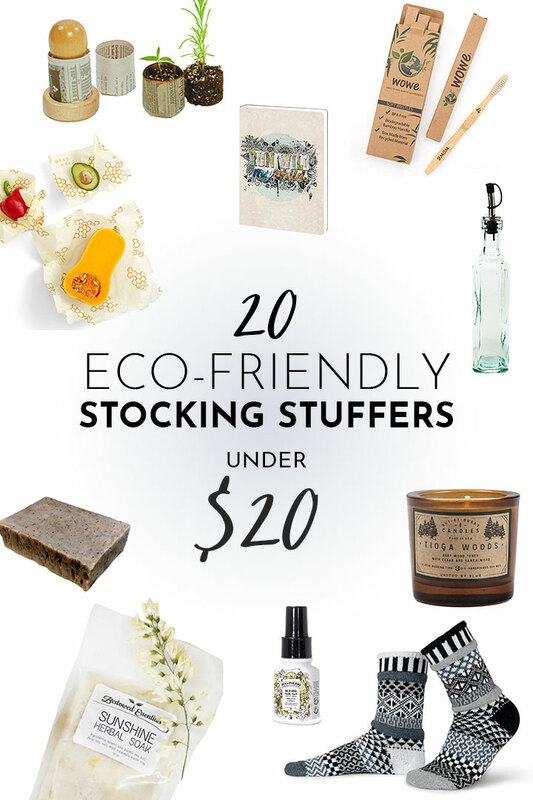 Read on for the complete list of 20 green stocking stuffer gift ideas that are only $20 or less, and make sure to use the coupon code FORKINTHEROAD at Earth Hero for an extra 10% off your order! Bees Wrap Sustainable Food Wrap Set: a sustainable and natural alternative to plastic wrap, this set comes with three size wraps to fit any leftovers dish. Wrap up cheese, fruit, vegetables, and bread and ditch the clingy plastic wrap. Handmade Coffee Soap: who doesn’t love a handmade soap? We recently switched from shower gels (so much plastic!) to bar soap, so I love picking up homemade soaps from small makers and shops that focus on sustainability. Bamboo + BPA-Free Toothbrush Set: ditch the plastic handle and bristles with this toothbrush set made from natural bamboo fibers and 100% plastic-free packaging. Run Wild My Child Journal: this recycled paper notebook will inspire you to jot down the coming year’s hopes, dreams, and goals…and all on green-e certified paper. Purifyou Mesh Produce Bags: ditch the plastic and take these mesh produce bags on your next grocery trip. A portion of proceeds is donated to sustainable living projects worldwide. Lifestyle Block Stainless Steel Stackable Lunchbox: take your lunch in style with this 100% stainless steel lunchbox with stackable inner compartment, free of BPA, BPS, lead, toxins, and harmful phthalates. Bestowed Essentials Natural Bath Soak: Gift the gift of a warm bath with these magnesium-rich epsom and Dead Sea salts. This all natural bath soak comes in a 100% biodegradable & compostable cellophane bag, plus 10% of every product purchase goes to charities that provide clean water to those in need! WOO Handmade Eco Beeswax Aromatherapy Candle Box: this environmentally responsible candle is handmade from beeswax and lightly scented with essential oils. Stainless Steel Straw + Brush Set: Help eliminate plastic straws U Konserve’s reusable steel straw set. This non-toxic stainless steel straw is dishwasher safe, and comes with a handy straw brush to get rid of leftover grime and grit. Wide Glass Smoothie Straw: love using a straw with smoothies when you’re on the go, but can never get thicker smoothies through a straw? Yes, first world problem, but there is a solution for that. These wide glass straws are perfect for thicker drinks and come with a cleaning brush. Solmate Recycled Cotton Socks: keep those toes warm all winter long with these soft socks made from recycled cotton. Tree-Free Mountain Life Coloring Book: zen out with colored pencils and this adult coloring book printed on recycled paper using solar power. Potmaker Paper Pot Press: have a family member with a green thumb on your list? This do-it-yourself kit makes small pots out of newspaper for budding seedlings. Cuppow Canning Drink Lid: turn any mason jar into a traveling cup with these screw-on jar lids. Crimson Good’s Organic Cold Pressed Coconut Oil: a natural moisturizer, hair conditioner, and cooking oil. Cold pressed and made without additives or preservatives, this USDA Certified Organic oil is perfect for just about anything from dry elbows to coffee creamer. Utopia Kitchen Bamboo Cutting Board: ditch the plastic cutting boards for this lightweight bamboo alternative. Recycled Glass Oil Bottle: infuse your own oils and store your homemade salad dressings with this recycled glass oil bottle cruet. Nature’s Garden Bonsai Growing Kit: this gardening kit contains a GMO-free seed starting kit, including planting pots made from natural ingredients that were designed to support the germination process & compressed seed starting soil to provide your new miniature trees with all the nutrients they need to grow. Tioga Woods Cedar Soy Candle: Bring the scent of nature indoors with this soy candle made with cedar essential oils. Perfect for chilly nights cozied up indoors! Poo-Pouri Fresh Spray: ok, we had to throw one gag gift in here. This “poo” potpourri is the perfect gift for that special someone who spends a little too much time in the bathroom. Made of essential oils and other natural compounds—with no harsh chemicals, aerosol, parabens, phthalates, or formaldehyde. Only fresh (and non-toxic) smells allowed! I hope you found this eco-friendly stocking stuffer guide useful and inspiring as you transition to a greener holiday season. If you’d like more zero waste and green living inspiration, make sure to join the Green Living Community for access to meal planning tools, resources, guides, and more!